You'll be £9.99 closer to your next £10.00 credit when you purchase The English Civil Wars 1642-1649. What's this? This is the definitive military history of the Civil Wars which swept the British Isles from 1642 to 1649. The martial aspects of the wars are covered in detail along with a comprehensive overview of the religious and political dimensions which shaped the armies involved in the conflict. This excellent single volume history is the perfect introduction to the military history of this turbulent decade which shaped the destiny of the British Isles. This book is part of the 'Military History From Primary Sources' series, a new military history range compiled and edited by Emmy Award winning author and historian Bob Carruthers. The series draws on primary sources and contemporary documents to provide a new insight into the true nature of warfare. The series consultant is David Mcwhinnie, creator of the award winning PBS series 'Battlefield'. 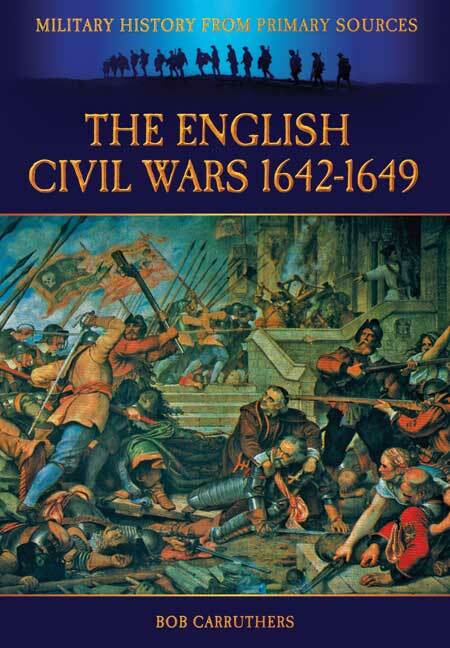 The English Civil Wars 1642 is a succinct and profusely illustrated history of the period by Bob Carruthers… provides and excellent and particularly well written overview, making it highly recommended reading for students of the 17th Century British History, and a valued addition to academic library European Military History reference collections.